For quirky, cute & affordable Disney Luggage, discover the American Tourister Disney Legends. Based in Swanley, Kent, The Luggage UK is one of the UK’s largest independent luggage retailers and now offers its comprehensive range of Antler suitcases, Samsonite luggage and Revelation travel bags and cases online through luggage-uk.co.uk. Whenever you’re planning to travel, you’ll find this website offers a huge choice of all kinds of hard and soft luggage in a range of sizes, colours and prices with free standard delivery on all orders over £50.00. We also offer a next day service for £4.95 on many items, but we request a phonecall to confirm availability. So whether you’re going near or far, by land, sea or air, we are sure to have the ideal luggage for your trip. Prices shown include VAT at the prevailing rate (20% on most products). With prices for some of our ranges starting at less than £35, you are sure to be able to find lightweight suitcases and travel bags that suit your pocket – and can be just what you want for your trip ! And, of course, at the other end of the scale, we offer the very latest, even – lighter, lightweight suitcases priced at nearly £400. But remember, really high – quality luggage like this can last a lifetime – even long enough to pass on to the next generation – so it can genuinely be regarded as an investment rather than just an expense ! We try to ensure that our prices always represent really good value for money and we aim never to be undersold. Whenever possible we offer attractive discounts against Recommended Retail Selling Prices so that our pricing is always keenly competitive. So, if you find that a particular product that you want to buy is being offered elsewhere at a lower price,with free delivery – do please tell us. We will welcome the chance to match it - or even make you a better offer ! Please remember, however, that we are unable to reduce prices retrospectively. 2 Wheels or 4 Wheels? 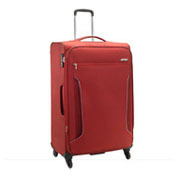 Since the late 1980's there have been wheeled versions of both heavier and lightweight suitcases, and now widely-spaced wheels on the base of “upright” suitcases have become the generally welcomed alternative to manhandling heavily – loaded cases and searching for elusive baggage – trolleys at the terminal. 2-Wheeled trolley cases have certainly proved their worth but sometimes manoeuvring one in tight spaces or making progress in a slow-moving queue can become tricky - even exasperating ! However, 4-Wheeled trolley cases combine the convenience of tilting to run on the two rear wheels with the alternative benefits of being able to stand unaided, manoeuvre in confined spaces and remain stable when travelling upright with virtually effortless mobility. 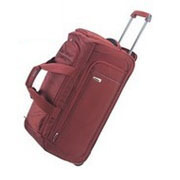 4-Wheel trolley cases – often called Spinners are, however, slightly heavier and cost a little more than a 2-Wheel version of similar capacity. The comprehensive luggage collections we offer from Antler, Samsonite, Revelation, American Tourister, Carlton and Skyflite all feature a choice of lightweight suitcases with either 2-Wheel or 4-Wheel trolley systems. Long-Haul doesn't necessarily mean you need huge cases and Short-Haul needn't be the converse. 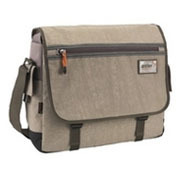 But do remember that most of the lightweight suitcases and travel bags we offer come in matching collections of several sizes that can be used singly or in various combinations to provide just the right capacity you'll need to pack whatever you'll need to take with you wherever you're going, however you're travelling and however long you plan to be away. Investing in a matching set of large, medium and smaller lightweight suitcases or travel bags can make it so much easier to cater for your future travel needs, whether long-planned or arising at short notice. Don't forget to include a cabin-size lightweight suitcase or bag that you can carry onboard the aircraft so as to keep your essentials with you. And do bear in mind that a matching set of suitcases or travel bags can make a most acceptable, really useful and very long-lasting wedding present – or a gift to mark any very special occasion. Some of the luggage you'll find in our website will obviously look very much at home on the polished brass baggage trolley being trundled through the foyer of a five-star hotel and destined for a long, luxurious stay. Some of the other ranges will clearly be much more comfortable crammed in the boot of the car heading for a casual weekend fishing trip ! 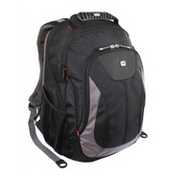 Whatever sort of travel you're planning you are almost certain to find the ideal luggage in the pages of this website. However, if you need assistance in choosing, please don't hesitate to ask us . . . . . e-mail us or phone between 9 am and 4 pm Monday to Friday. We'll welcome the opportunity to suggest the perfect luggage to go with you. 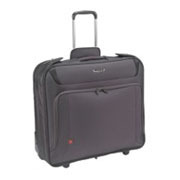 Many lightweight suitcases can serve equally well for both the family vacation and the brief business trip. But, nowadays, luggage manufacturers are recognising the very special needs of the business traveller and producing lightweight suitcases, travel bags and backpacks designed to accommodate papers, files, laptop and accessories and still have generous space for a change of clothing, shoes and toiletries, etc. 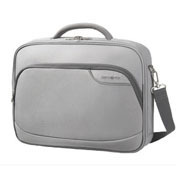 Our ranges from Gino Ferrari, Antler, Samsonite and Revelation offer particularly attractive options. 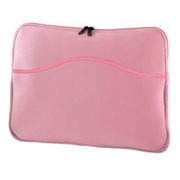 And, of course, there's a wide choice of more “traditional” business cases, bags and attache's for ladies and for gentlemen. The luggage manufacturer's confidence in the quality of their designs, materials and workmanship is reflected in the guarantees that now come with their products. 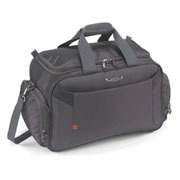 These now vary from 12 months for some of the lower-priced bags, holdalls and leather goods up to 10 years, or even longer, for some of the top-of-the-range ultra-light, lightweight suitcases. We show the length of the applicable guarantee in the detailed description for each product range we offer. Please remember that the manufacturer's guarantees don't cover “fair wear and tear” and specifically exclude damage in transit. Their cover is limited to defects in materials or workmanship. Therefore its wise to check whether you can include your luggage – and contents – in the cover provided by your travel insurance policy. Always make a point of carefully inspecting your luggage when collecting it from “Baggage Reclaim” on arrival at your destination. If you identify any damage, notify the carrier before you leave the terminal. This will make it much simpler and speedier to prove liability and process your claim for compensation. Its a good idea to pack a change of clothing and essentials like toiletries and medicines, etc. in a separate small bag or lightweight suitcase that you can take on board the aircraft with you as “back-up” in the event that your main luggage is delayed or goes astray. Nowadays, however, the high charges levied by some budget airlines for carrying luggage in the hold of an aircraft have become an incentive to pack as much as possible in a holdall or small lightweight suitcase that can be carried with you in the aircraft cabin and so reduce – or even avoid – the need for larger cases that have to be checked-in for loading in the hold. All airlines specify the maximum measurements they will accept for bags and cases they will allow to be carried onto the aircraft as cabin baggage. Most major international airlines now apply the limits recommended by IATA and the product descriptions on our website indicate this compliance where applicable. The “Budget” airlines, however, apply more stringent limits and will refuse to allow baggage that does not comply to be taken into the cabin. Where possible, our product descriptions show compliance with specific requirements for “easyJet” “Ryanair” or “Flybe”. However, we very strongly recommend that you check your airline's current requirements before you purchase any bag or case intended for use as cabin baggage. We have separate categories on our site for bags meeting the current Easyjet and Ryanair cabin dimensions. Particularly when away on holiday we often find that we need to take home more than we took away ! 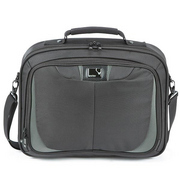 Many of the suitcases and travel bags we offer incorporate special gussets at both sides that unzip to temporarily increase the depth of the case. Depending on the particular design, between 10% and 30% additional packing capacity can be provided in this way . . . so choosing an “Expander” is the answer ! But remember that if your cabin case has an expansion feature, you'll need to check that opening it up will not exceed the permitted measurements for “Cabin Baggage” otherwise, it may have to go in the hold ! Your new Antler suitcase represents the pinnacle of Antler's ongoing quest to offer the discerning traveller the best value in travel luggage combined with renowned quality. Many new models of case are significantly lighter than their predecessors, and are more fully featured. Antler suitcases are world-renowned for their durability. When you purchase an Antler suitcase, you can rest assured that your product is the result of nearly a century of research and innovation in the industry. The company is proud of its impressive heritage and is frequently pioneering new developments in order to bring customers the ultimate selection of soft-sided and hard-sided roller-cases and lightweight Antler suitcases. Best of all, each and every Antler suitcase is manufactured with baggage allowance requirements in mind, making it easy for you to choose luggage that will make for a smooth, hassle-free journey, however you’re travelling. Antler luggage is unique in that it is acquired from a luggage brand that inspires trust and confidence. 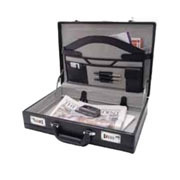 Investing in Antler luggage and Antler suitcases is a shrewd move; you’ll find that an Antler suitcase is attractive and easily recognisable and yet boasts a true resilience and strength that ensures the product can last for a very long time. Add to that Antler’s impressive 10-year warranty and after sales service and you can be sure you’ve chosen outstandingly good luggage for your trip. 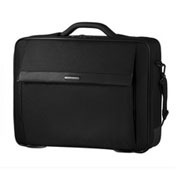 When you’re thinking of purchasing a new travel set, you’re likely to first think of Samsonite luggage. 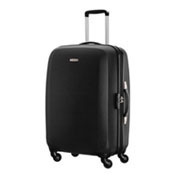 The company’s reputation is second-to-none within the industry and people who travel regularly choose Samsonite suitcases and Samsonite luggage sets time and time again because of their remarkable functionality and proven durability. Your new Samsonite suitcase will also come with a worldwide guarantee – another reason to choose this internationally acclaimed brand. Samsonite suitcases combine high quality materials and unique design features with an effortless, sophisticated elegance rarely matched by rival brands. You can select your favourite piece of Samsonite luggage from a huge range of designs, a catalogue that has evolved and been fine-tuned throughout nearly 100 years of development and modernisation. Check out the Aeris range for a traditional take on Samsonite luggage sets, or opt for one of the Cosmolite products if you’re looking for an amazingly strong Samsonite suitcase. 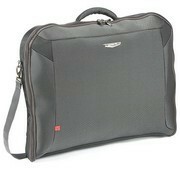 A Samsonite suitcase is also known for its practicality yet wraps this functionality in an attractive finish. Taking a trip and needing to travel light? Luckily, the Samsonite luggage range isn’t just restricted to Samsonite suitcases. 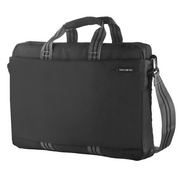 The comprehensive selection we offer also includes Samsonite shoulder bags and laptop cases as well as lady’s business bags. Our Samsonite stocks cater for every travel need, so you can benefit from the brand’s enviable reputation wherever you go! Alongside the Samsonite suitcases and Antler suitcases, Revelation luggage is fast becoming a popular choice for travellers looking for practical good quality luggage. 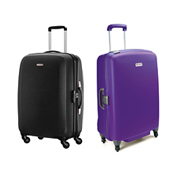 Revelation suitcases offer a great option for customers who are looking for a great value suitcase with all the latest features including 4 wheels, expanding and ultra lightweight. The Revelation people take the design of each of their suitcases very seriously. Whatever your style, you’ll find a Revelation suitcase that suits your individual taste and showcases your personality. Here at Luggage UK we understand that for travellers looking for long-lasting luggage at extremely affordable prices, Revelation suitcases are distinctively different and represent great value for money. If, after browsing our online gallery of Revelation luggage pieces, Samsonite suitcases and Antler luggage you need any further information to help you make your choice, please do contact us by email or telephone. 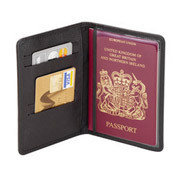 And remember, in addition to these three world-famous international brands we also offer some very special ranges from American Tourister, Carlton, Skyflite, Gino Ferrari and High Sierra as well as other specialist manufacturers. All offer unique features and great value. We aim to offer you the lowest prices that you'll find on line from an authorised luggage dealer. Visit our site for cheap travel bags, suitcases and luggage.